We are pleased to announce several recent improvements to the Search functionality on the Access platform. We have refined our search algorithm to use an implied “AND” instead of an implied “OR” for searches that include multiple terms. For example, a search for abdominal pain with the old functionality would return results including “abdominal” or “pain” leading to many irrelevant results. The new search functionality will provide users with results containing “abdominal’ and “pain” leading to more relevant results. The search engine still supports Boolean searching as well as exact phrase searching. We have also refined our search results page to be easier to navigate and less cluttered for the user. 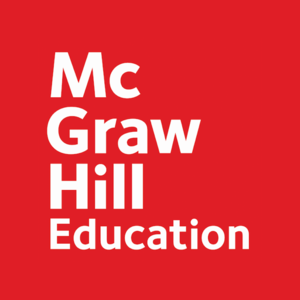 Below is an example of the new search results landing page with changes indicated by red dots. We made some cosmetic improvements to our category navigation in order to make the page less busy visually. 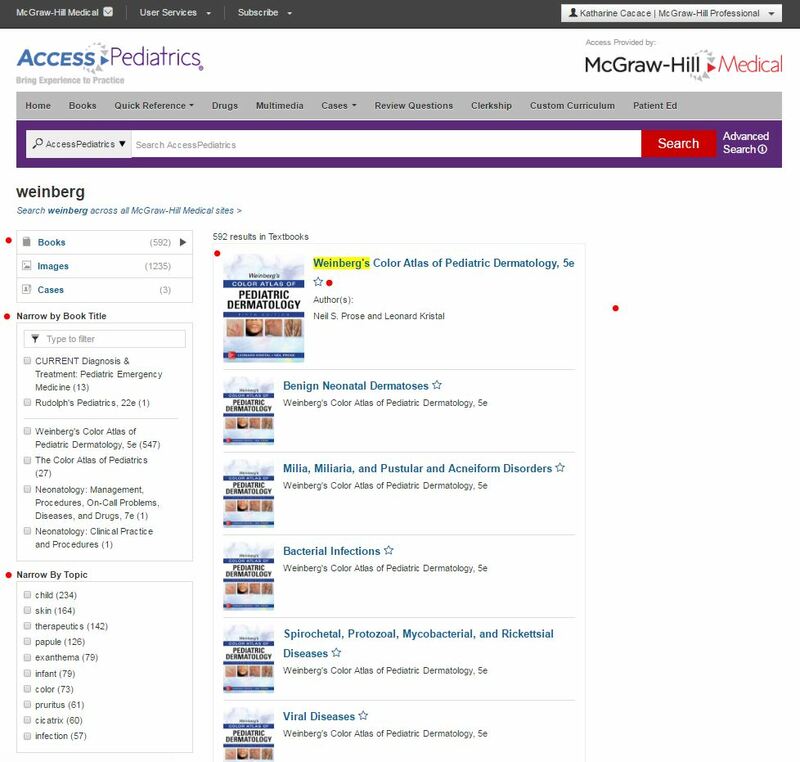 If a user searches a book title, such as “weinberg” shown here on AccessPediatrics, they will be delivered a hit for the full book that is visually indicated with a larger cover. Users can now favorite content right from the search results page–no need to click inside the chapter. To simplify this results page, we’ve removed the preview boxes displaying other content types. Multimedia and image results are still available from the category navigation in the left rail. We have relocated the “Narrow By Topic” filter from its previous position hidden behind a dropdown menu on top of the search results. It is now exposed in the left rail. We have moved the “Narrow by Book Title” filter to the left rail and vastly improved its functionality. Users can type the name of a book in that box to narrow their results or else choose it from the clickable boxes.